It’s not possible for everyone to ace in Tableau, at least not yet. Tableau is a versatile data visualization application that facilitates users to examine structured data virtually, while displaying information in several interactive graphic perspectives. Though it’s very easy to use and a lot of individuals use Tableau Desktop for creating data visualizations, it churns out best results when employed by expert hands. It returns the natural log of the number. Now, if the numbers appear to be less than or equal to zero, the function tends to return NULL. LOG brings back the log of the number for a given base. In case, there’s no base, the function will use base 10 by default. It helps return the numeric constant of PI. This function increases the number to the defined power. This is a superb function to convert numbers from degrees to radians. Use this function to round off any number to the nearest integer or to a particular number of decimal places. This function brings back the sign of a number. In case of positive numbers, it returns a 1. For zero, it returns a 0. For negative numbers, the function returns a -1. It returns the square root of a number. This function returns the square of the number. The specialty of ZN function is that it evaluates any expression. If the function is NULL, it will return a value of 0, and if not, the expression is returned as before. 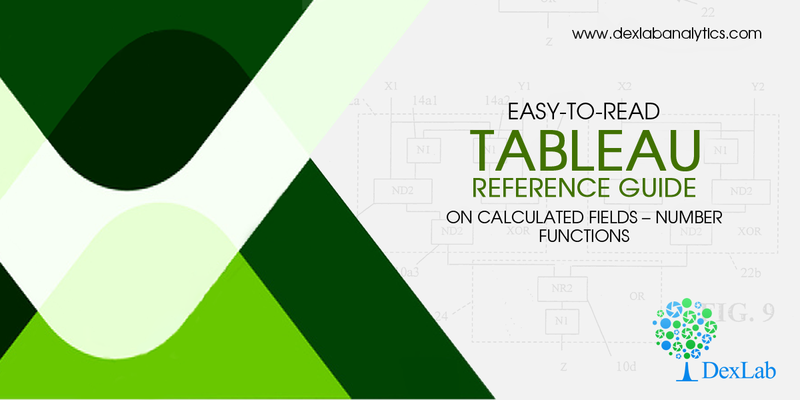 This function returns the maximal of two expressions for each record or an expression throughout all records. However, the two statements have to be the same type. If one or the other argument turns NULL, the function returns a value of NULL. Just like MAX function, MIN function too returns the minimal of an expression across the records or minimal of two expressions for a particular record. The two arguments must be similar in type. Also, if one or the other arguments hold NULL, MIN returns a value NULL. ACOS function returns the arc cosine of the number and the outcome is in radians. This function returns the arc sine of the number. And as usual the outcome is in radians. It returns the arc tangent of any number, and as usual the outcomes is in radians. It’s quite similar to the previous ATAN FUNCTION, except it’s used for two given numbers. Otherwise, all remains same. Cos returns the cosine of an angle. Just mention the angle in radians. COT FUNCTION returns the cotangent of an angle. Marking of angles in radians is important. TAN FUNCTION returns the tangent of an angle. You just need to mention the angle in radians and that’s it. Typically, it all depends on the nature of your business; if it needs, you have to go through Number Functions routinely, otherwise not. 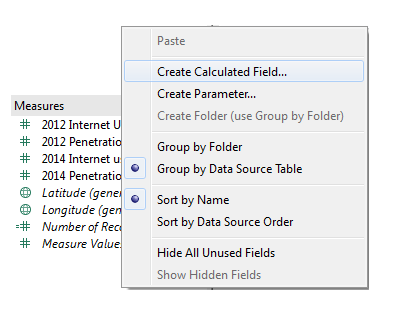 Now, if you really have to use them then peruse over Tableau course details at DexLab Analytics. Being a premier Tableau training institute in Gurgaon, DexLab will offer a whole new layer of insight into Tableau Essentials.